Borders sit at the center of global politics. Yet they are too often understood as thin lines, as they appear on maps, rather than as political institutions in their own right. 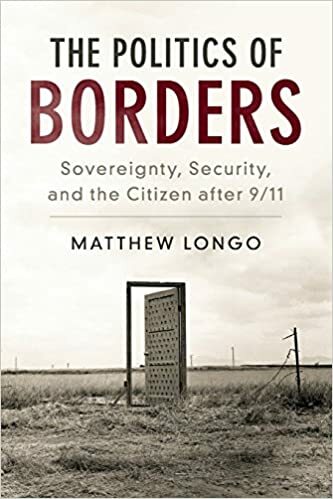 This book takes a detailed look at the evolution of border security in the United States after 9/11. Far from the walls and fences that dominate the news, it reveals borders to be thick, multi-faceted and binational institutions that have evolved greatly in recent decades. The book contributes to debates within political science on sovereignty, citizenship, cosmopolitanism, human rights and global justice. In particular, the new politics of borders reveal a sovereignty that is not waning, but changing, expanding beyond the state carapace and engaging certain logics of empire. This is a very well written and researched study of where border politics is at post 911. I highly recommend it. You can read my review here.